Born Marian Himburg, Causa has been on the rise for several years now, with a tight and impressive discography on labels including Crucial Recordings, Infernal Sounds, and J:Kenzo's Artikal Music UK. Known for carefully focused cuts that marry dub sensibilities with dubstep weight, his debut for ZamZam is exactly what you'd hope: heavy 140 wares for deep dances. 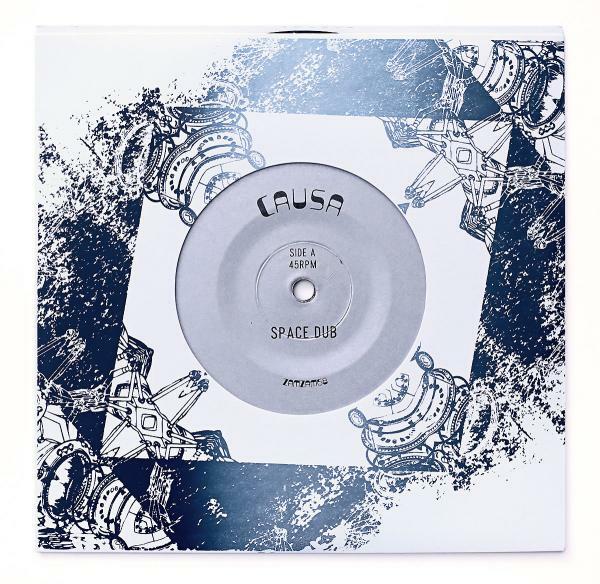 'Space Dub' is an orbiting station of decaying delays and insistent bleeps that resolve into an absolutely massive riddim that causes pure murderation on the floor. Machine sounds and lasers spar over dread, lurching bass, while thick snares cut through the reverb haze to reveal the cold, starry cosmos beyond. 'Concrete Dub' works with a similarly industrial sound palette in the service of a minimalist, skanking steppers that drives hard into the heart of sound system. Disembodied voices, growling-deep horn stabs, a single piercing flute note, and a myriad of other sonic signifiers emerge and retreat, as if being pulled under by the unrelenting force of the primordial sub & kick attack. You've been warned!